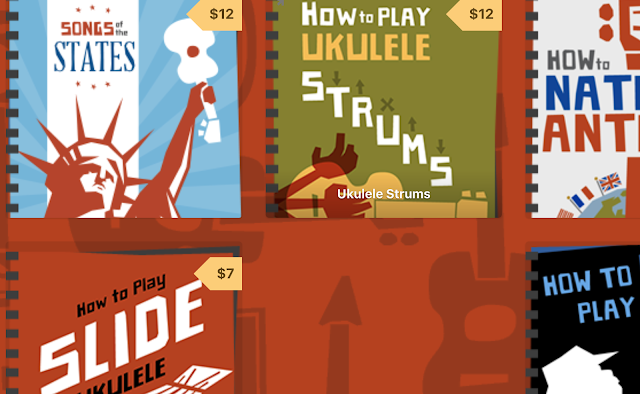 There are a couple of reasons I can say with some authority that kids like ukuleles. 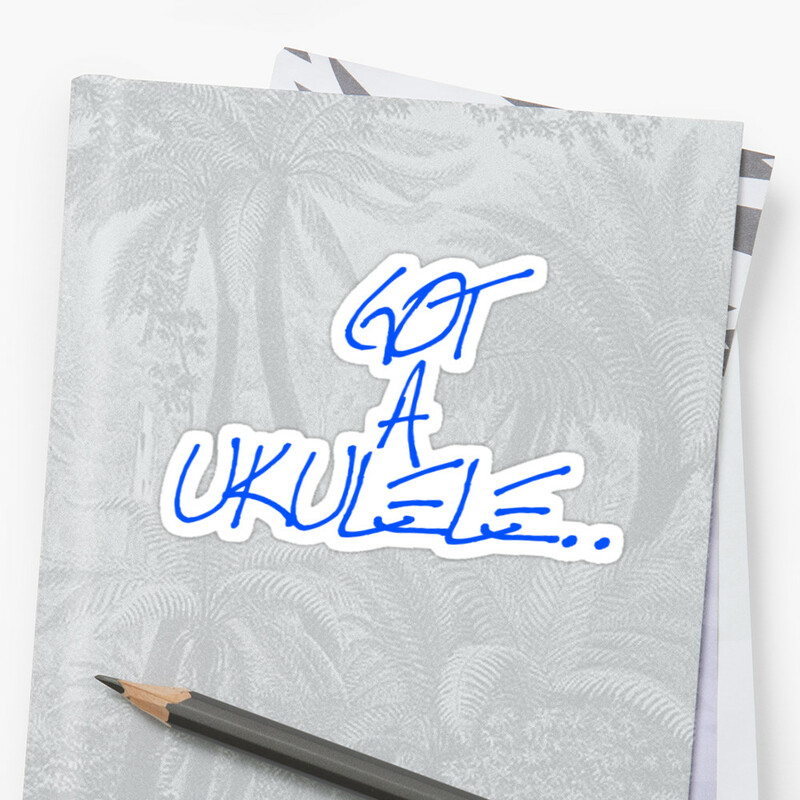 Firstly, I have a young child of my own (seven years old) who is currently looking at progressing her ukulele beyond just bashing on it for fun. But also, kids just love the sound they make and I think it's a wonderful thing for parents to do with a small child. 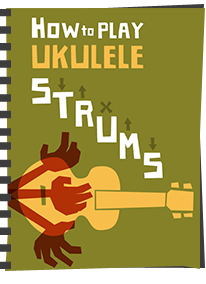 Other parents must think that too as this page of Nursery Rhymes for ukulele on this very site is consistently one of the most vistied on the whole page. So for me a book aimed at young kids was something I was keen to look at. 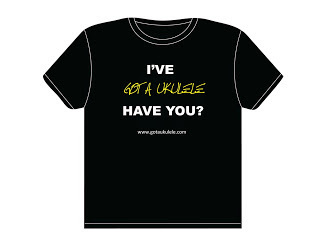 It's written by ukulele friend of mine Lorraine Bow (who set up Ukulele Wednesdays and runs the Learn To Uke school in London) and Alex Davies, a multi instrumentalist teacher, performer , arranger and editor. Now I've seen a number of books aimed at children before and often I found them confusing, and more importantly a bit boring for kids. A childs learning book needs to engage the child to keep them interested. Make it feel like learning and they will give up. So what better way for me to truly review this book than to sit down with my 7 year old and start working through it. 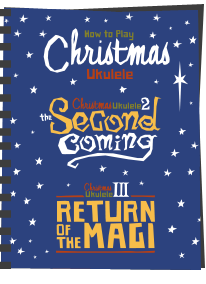 The book starts with absolute basics, a bit of uke history, a bit of how to hold the instrument, parts of the uke and then we are in to basic strumming and plucking. The making a noise bit that kids will be itching to do. Then we are immediately on to singing and making more noise before we have even got to chords and notes. This to me is a good thing as it immediately sparked my daughters imagination and she felt like she was achieving something by only page three. We then move on to that most basic of chords, the C major (what else) and we have more songs. I was also impressed that the authors chose to introduce the concepts of timing and rest marks so early on. My daughter got them immediately, and I became the one who was thrilled. Not to put too fine a point on it, there are enough adult ukulele players out there who raced through learning without too much regard to timing, so full marks to the authors for bringing this in early! 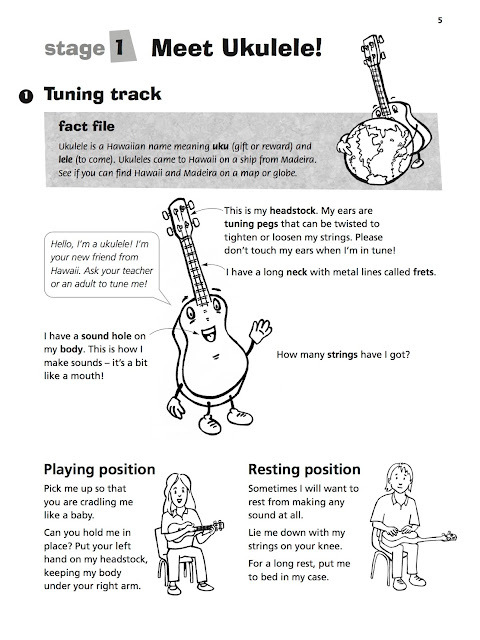 Each section is filled with little cartoons, fun facts, quiz questions to test the childs knowledge so far and 'hot tips' and the excellent 'Dead String Alert' warnings to ensure the child keeps an eye on finger placement and accurate fretting. 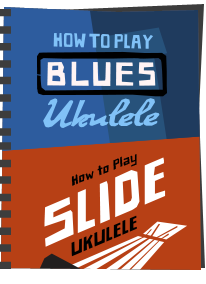 Moving through the book is slowly introduces other simple chords and more useful basics that even some adults overlook like rhythm signatures, the musical scale and even basic 12 bar blues. It also comes with a CD with over 60 sound samples to accompany the various sections of the book so even if the adult helping the child is confused, they can listen to what it's supposed to sound like. Overall we thoroughly enjoyed working through it because I think the authors got the balance right between a couple of important elements. It makes the process feel fun and not like traditional learning, and scatters it with some important basics that are the sort of thing you should be instilling in a beginner player early on. Sure, the songs are basic, and so are the chords, but this is written for 6 year olds and over, so I think the difficulty is just right. Putting it another way, my daughter, like most 7 year olds can easily get turned off something if she feels bored. With this, after we had run through each section she was immediately running off next door, ukulele in hand, to show her Mum what she had just done. I can't ask for much more! If you have a young child of this sort of age I can totally recommend checking this one out. It's available now from Faber Music, and as an added bonus there is currently 15% off all their music books through the website which is available until 30 June 2017. 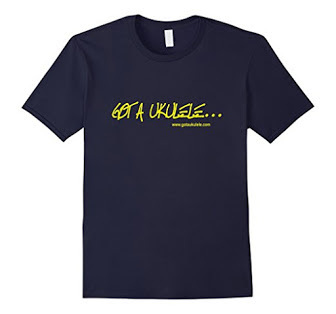 Ukulele Basics retails at £8.99 but is currently available for £7.64. That's the price of a pack of strings!